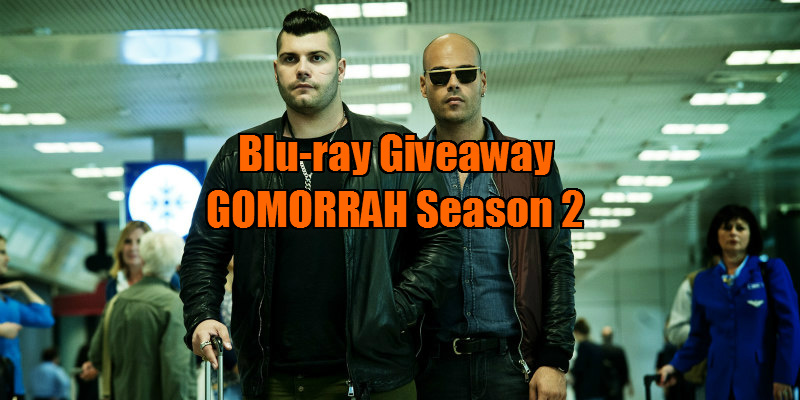 Did You Win GOMORRAH Season 2 On Blu-ray? Gomorrah Season Two is released on DVD & Blu-Ray Monday 25th July by Arrow Films, and we've got two blu-ray boxsets to give away to UK readers. The era of the Savastano clan, who once undisputedly reigned over north Naples, seems to be coming to an end. What lies ahead now is the largest ever power vacuum in the history of the “Camorra” – a coalition of crime families in and around the urban backstreets of Naples. The king, Don Pietro Savastano (Fortunato Cerlino), has abdicated, only to be replaced by his son Genny Savastano (Salvatore Esposito) – at least momentarily. Although still having loyal soldiers, the Savastanos see themselves opposed by their once loyal right-hand man Ciro “the Immortal” Di Marzio (Marco D’Amore), who is not the only one working on ending their bloody reign. The sinister drug baron, Conte, is back in town building alliances and there are two new contenders for the throne of north Naples. The only certainty about the future – nothing is certain. Gomorrah is based on the international bestselling book by Roberto Saviano who exposed the Camorra mafia syndicate based in and around Naples, and has been living under police protection for eight years.